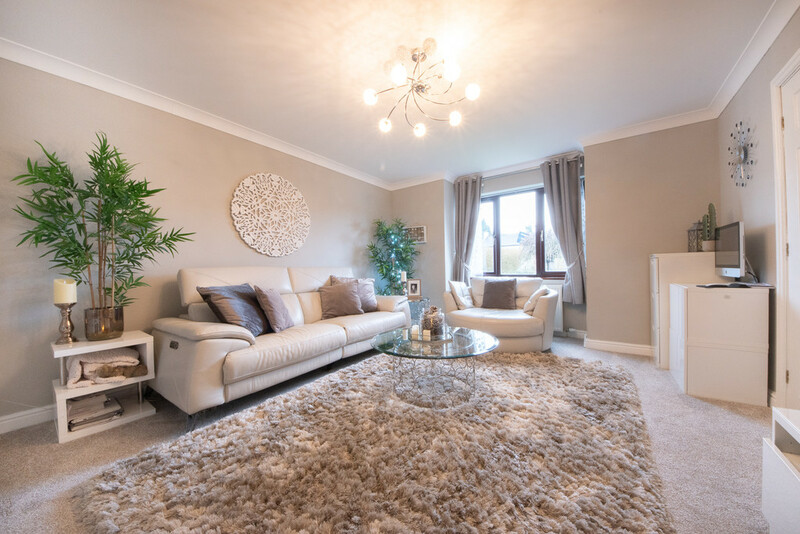 Stylish, luxurious and finished to the highest of standard, this three bedroom family home is the ideal dream for those looking for modern living. 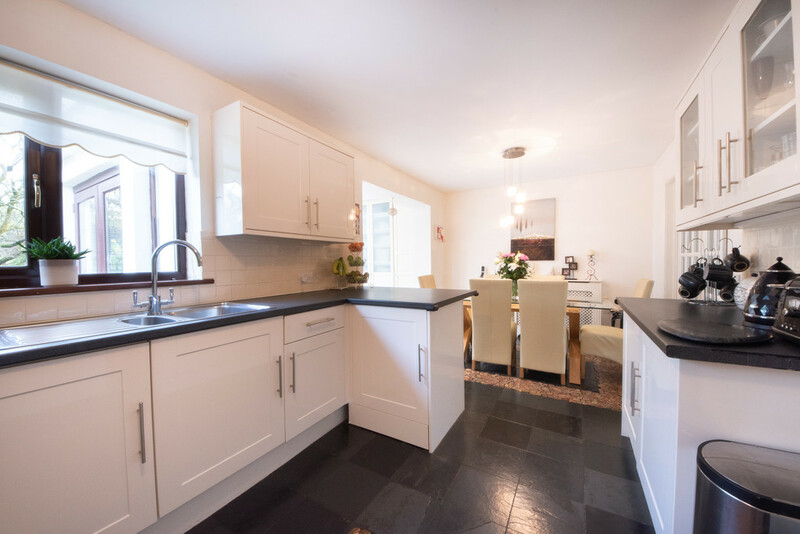 Adding to its appeal, 3 Clos Y Llan has a large conservatory, a range of built in storage, workshop and spacious rear garden where you will find a picturesque view of the surrounding trees and stream. It certainly has something for everyone. 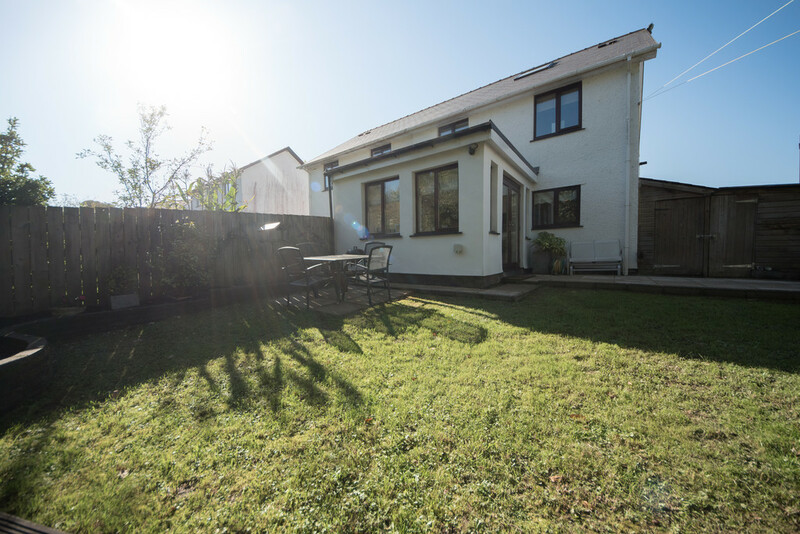 CLOS Y LLAN Presenting this wonderful 3 bed family home in the heart of Lledrod; boasting a large rear garden capturing sunlight at every angle and modern living throughout. 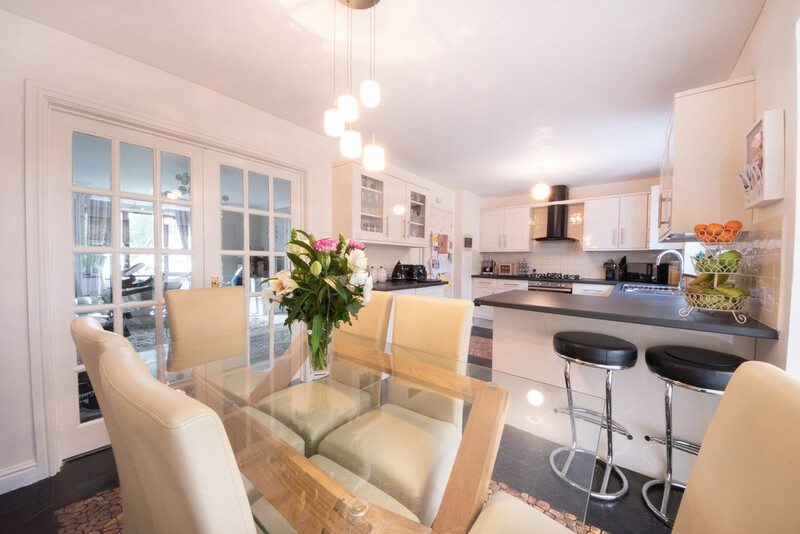 Either a lovely home for young professionals, young families or to retire in – it is pleasant throughout and a definite must see. 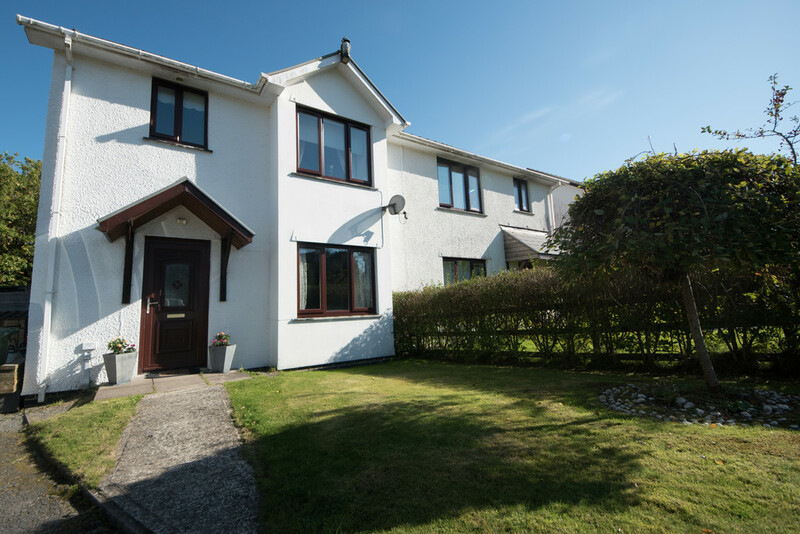 PROPERTY COMPRISES Unless expressly stated all rooms have a range of power points, double glazed windows and radiators. 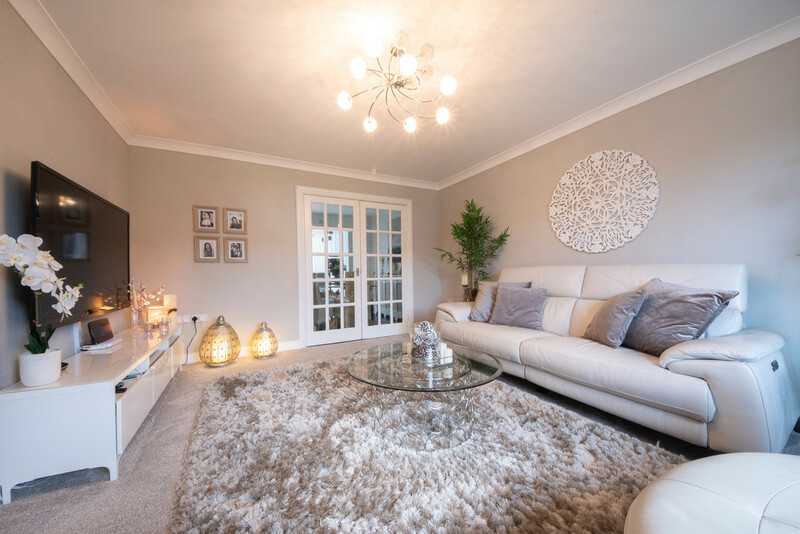 LOUNGE 14′ 9" x 12′ 8" (4.50m x 3.87m) This spacious lounge has been neutrally painted and is the perfect canvas for a new owner to make their mark on. 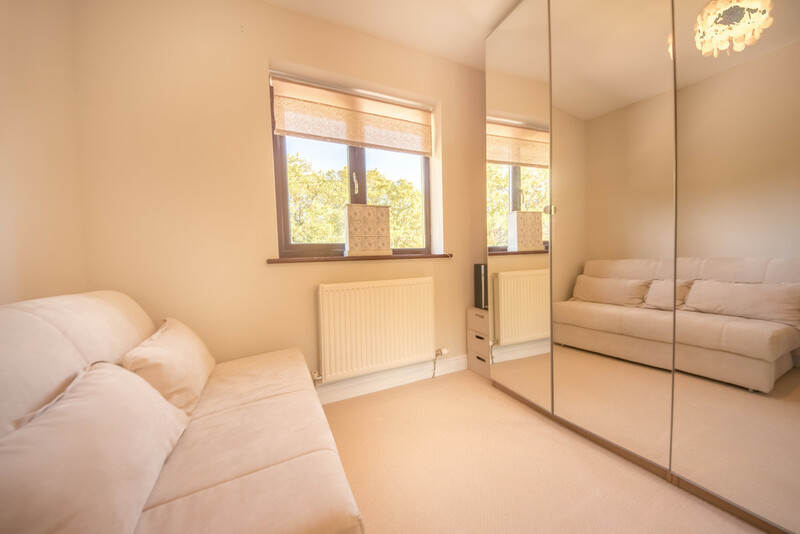 The room has been fully carpeted from this room a wide window looks out onto the front of the property. Glass french doors into kitchen/diner. 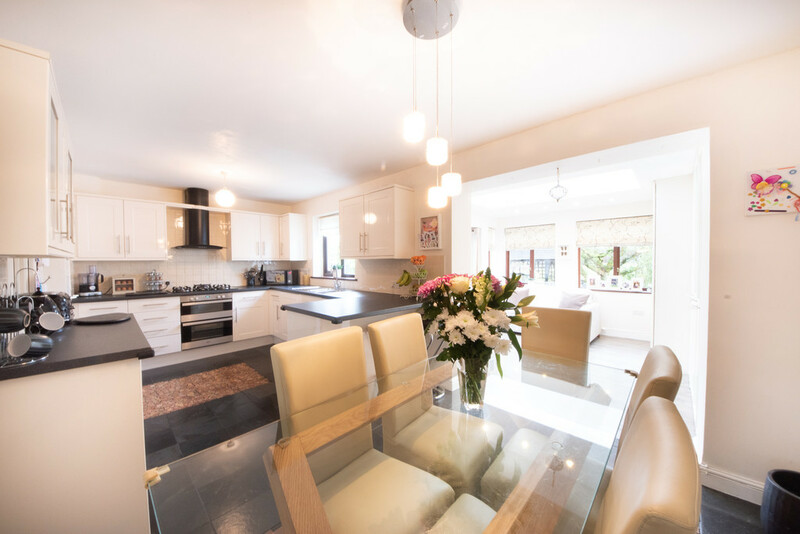 KITCHEN/DINER Contemporary and finished to a high standard this well-proportioned kitchen features a range of base and eye-level units, complete with roll top counter work surfaces. 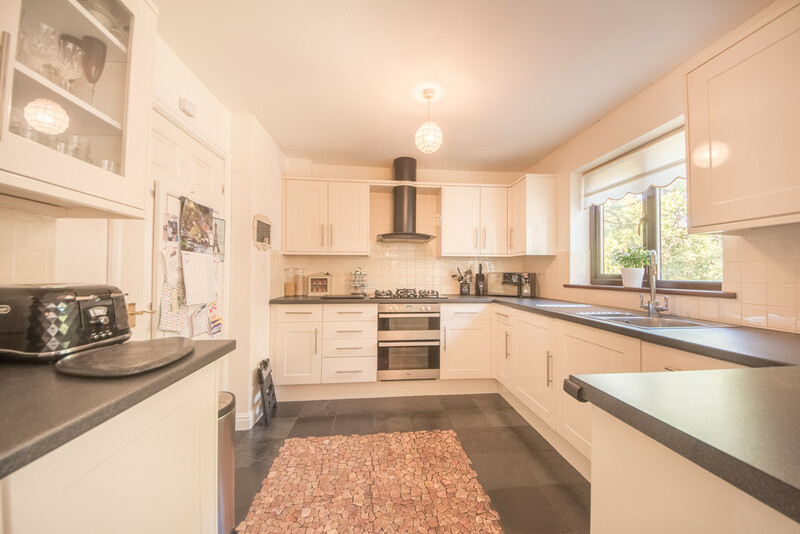 The kitchen also benefits from a breakfast bar, 5 burner gas hob with double oven and hood extractor, in addition to an integrated fridge/freezer. 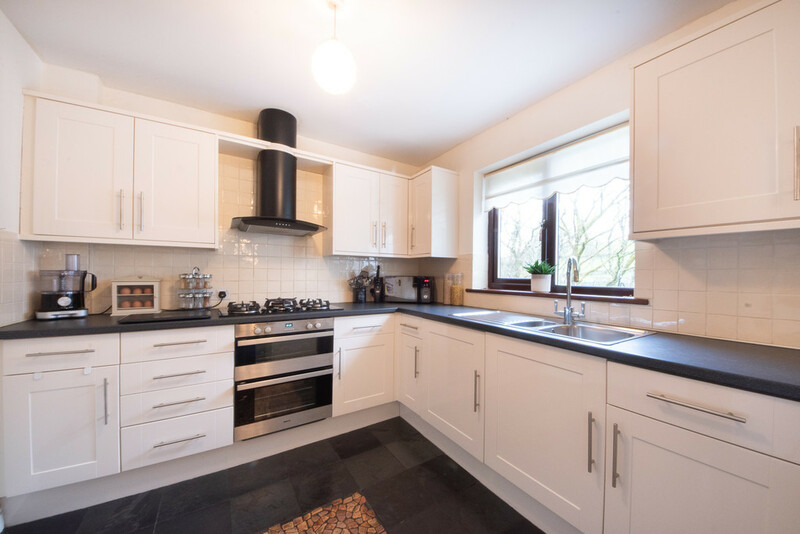 Currently in place there is also a 1 1/2 bowl, single drainer, stainless steel sink complete with h/c mixer tap. Window overlooking the garden. 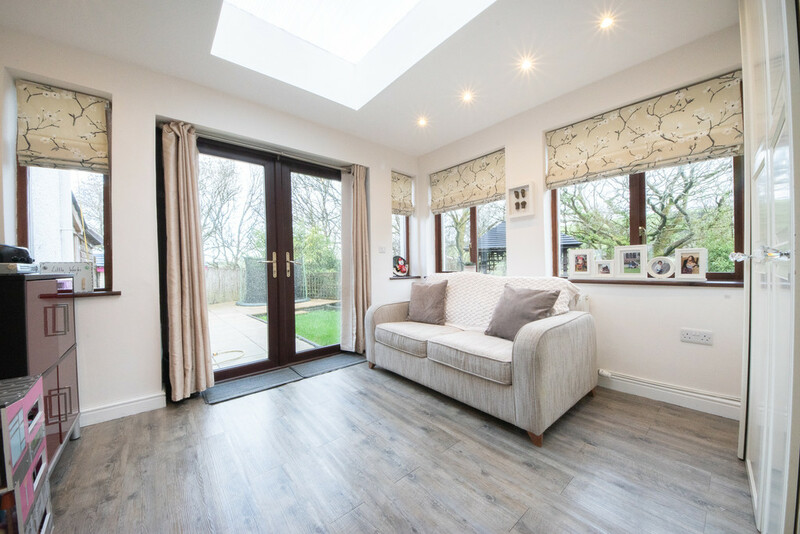 SUN ROOM Open plan off from the kitchen/diner the sun room with large sky light flooding the room with natural light. 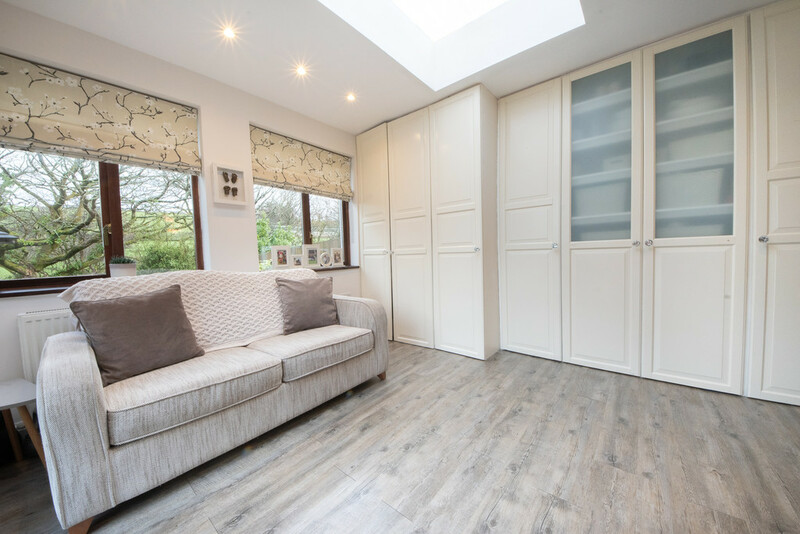 This room benefits from built in storage including an integrated washer and dryer. 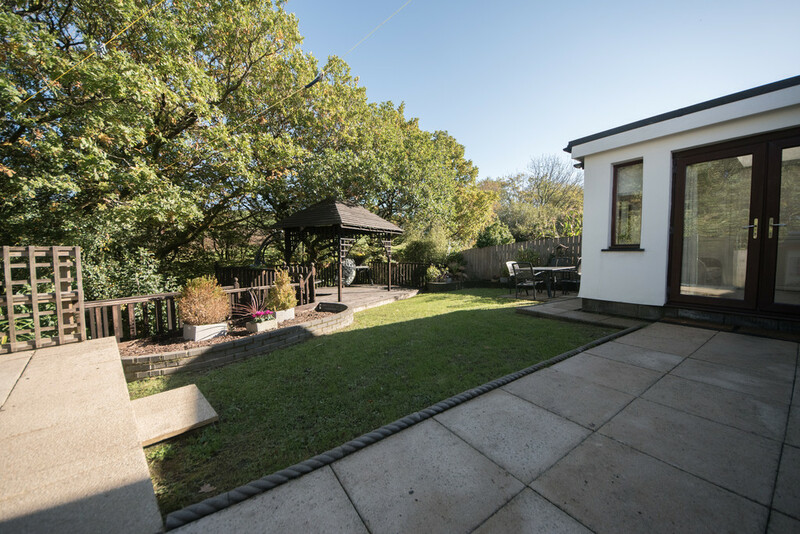 Access to the garden through double patio doors. 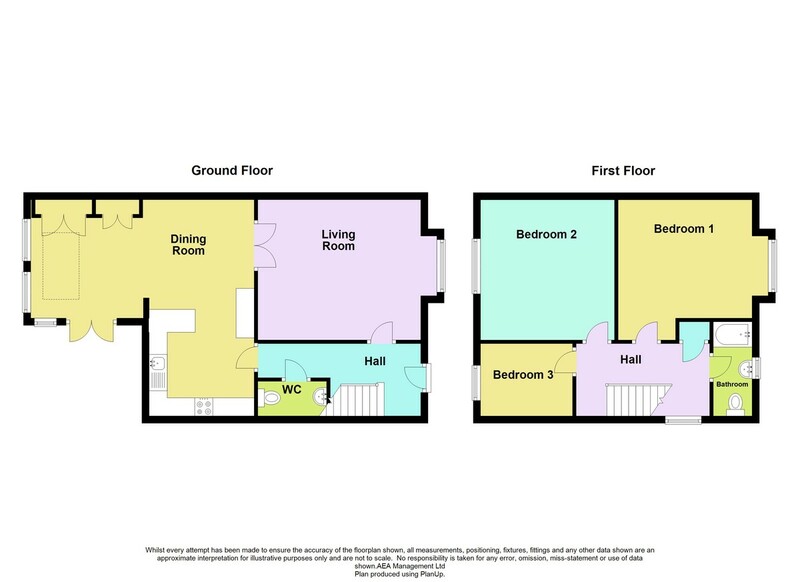 BEDROOM THREE 9′ 1" x 8′ 8" (2.77m x 2.66m) Neutrally painted with a window overlooking the garden. 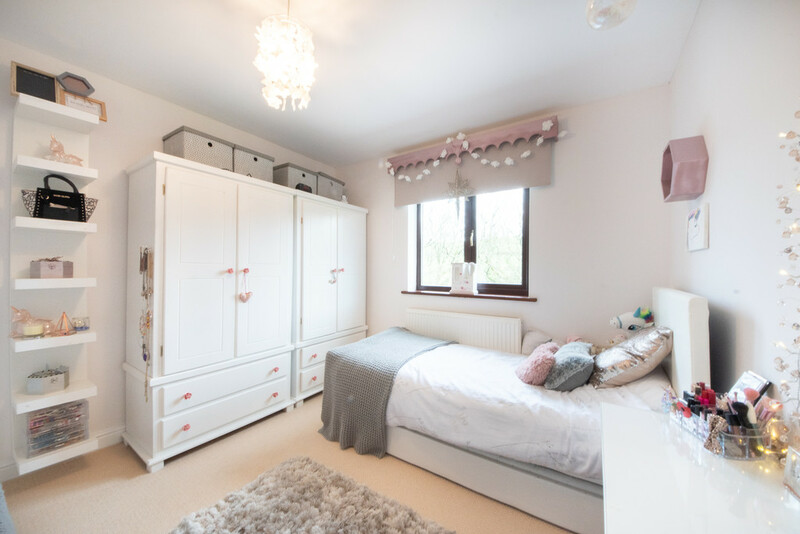 Currently used as a guest bedroom but can be adapted into a chilrden’s bedroom or study. 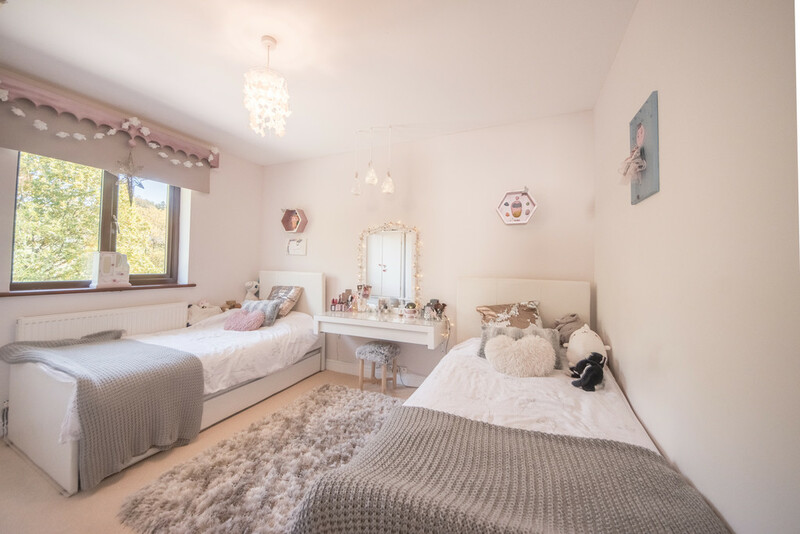 BEDROOM TWO 12′ 7" x 11′ 7" (3.86m x 3.54m) Good-sized double bedroom, this room could easily be altered to a new buyer’s tastes and the walls in this room are of a neutral colour. Window over looking rear of property. 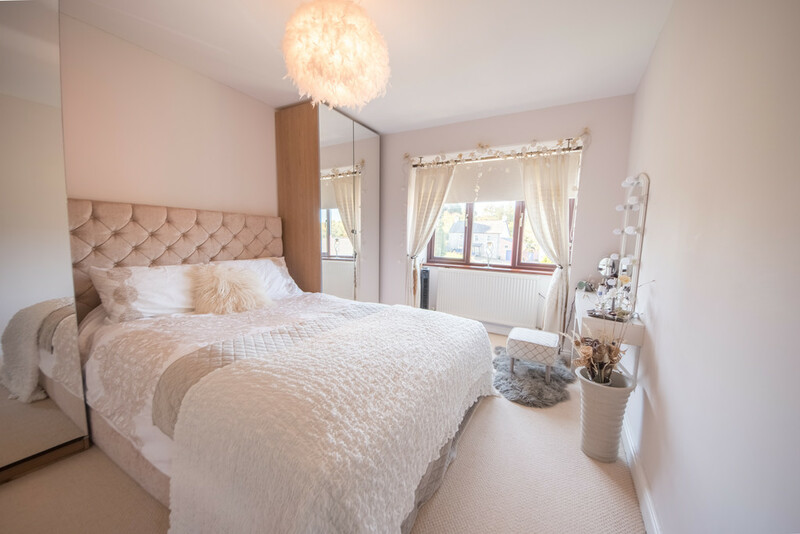 BEDROOM ONE Spacious, with plenty of room for a large double wardrobe this master bedroom has been neutrally painted and fully carpeted. From this room, a window overlooks the front of the property letting natural light into the space. BATHROOM As with the other rooms in this property, the bathroom has been designed and finished to a high standard. 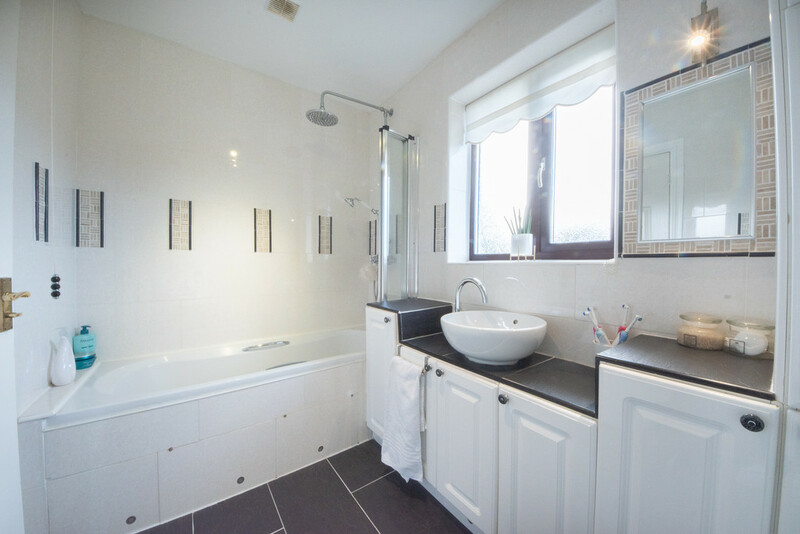 Fitted with a white suite comprising of a low-flush WC, a vanity wash hand basin, uPVC panel bath complete with power shower over and storage cupboards. 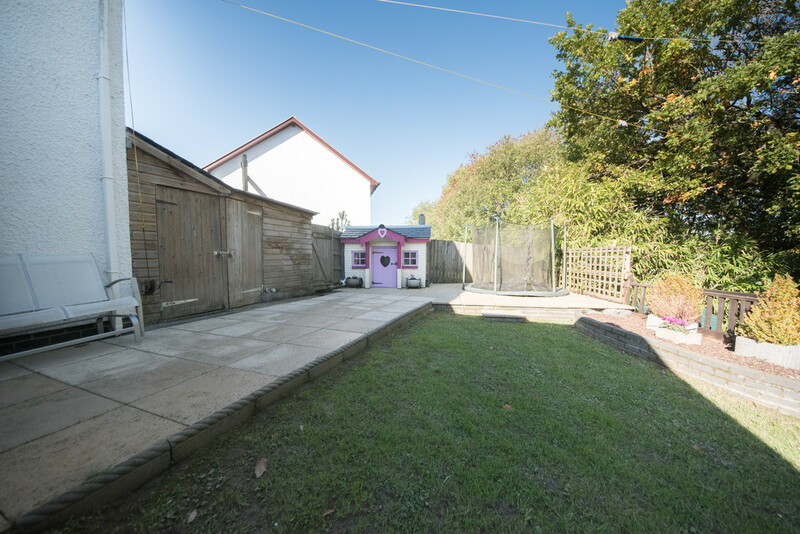 OUTSIDE OF PROPERTY With parking for up to four vehicles and access to the garden via gate at the side, the front of the property boasts a lawn area, perfect for adding extra colour and character to this already wonderful home. OUTSIDE REAR OF PROPERTY From the sun room you can access the garden area. 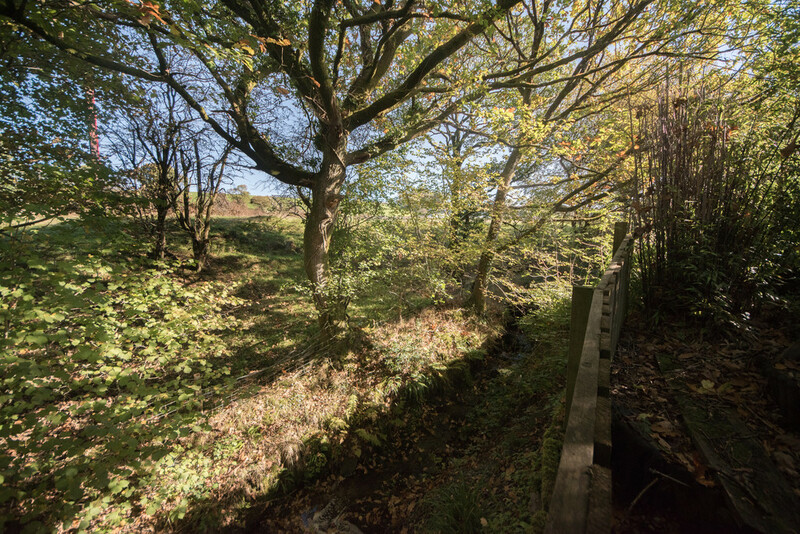 Clos Y Llan’s garden has something for the whole family. 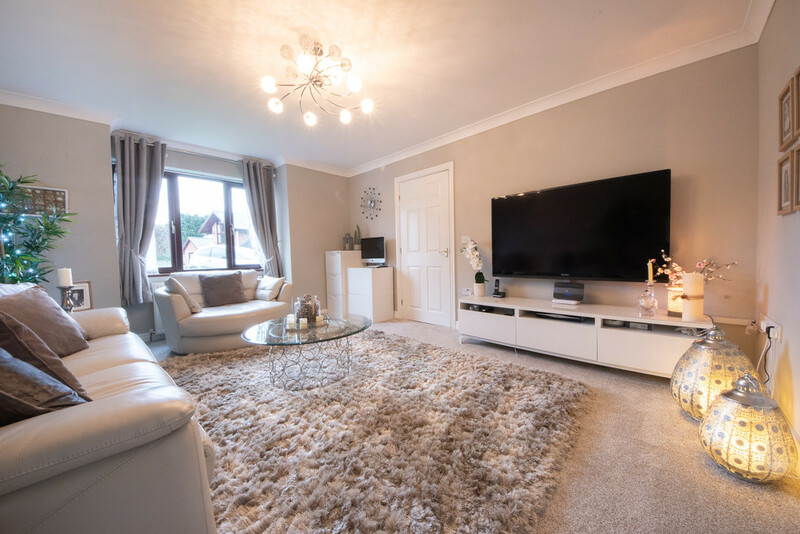 It boasts the privacy of an enclosed garden laid to patio, lawn and decking with gazebo and hanging lounge chairs, perfect for mum and dad to kick back whilst the children enjoy the home-built play house and lowered trampoline area. 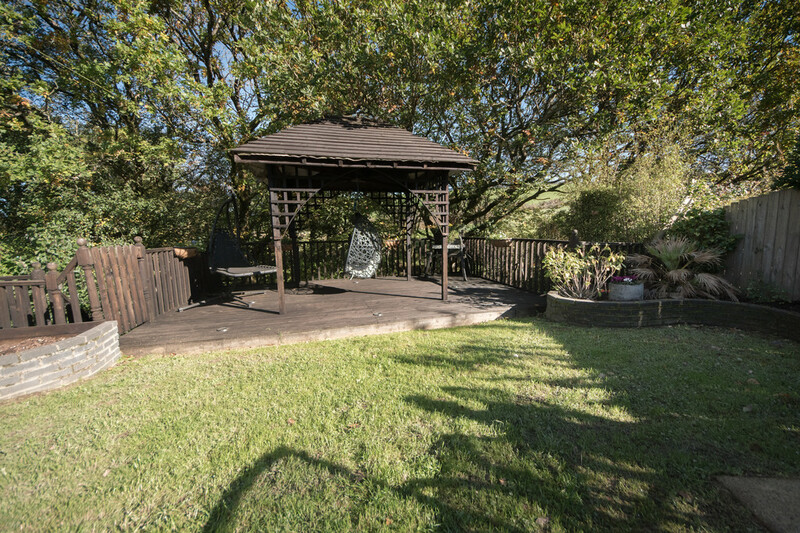 From the gazebo there are steps down to a lower level where you will find a fully wired garden room situated adjacent to the picturesque trees and flowing stream.